Grab a cup of joe (or two or three). 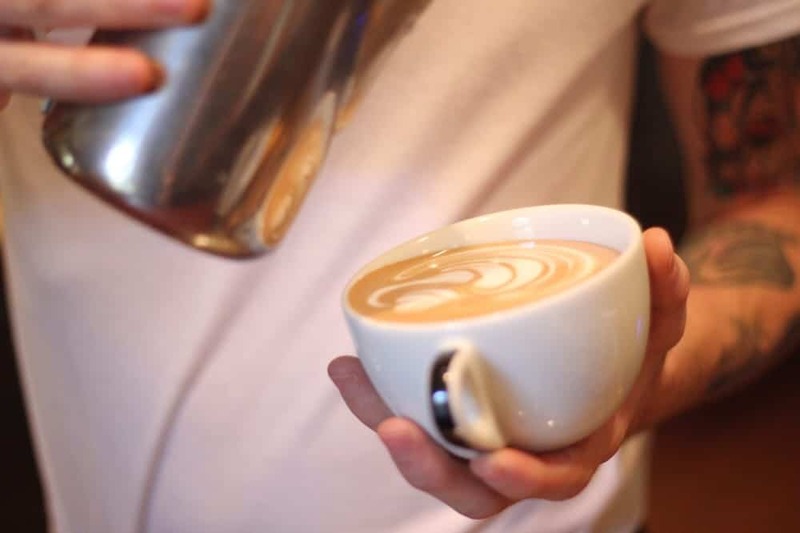 We’re exploring the best coffee shops in Orange County, CA. As a native Seattleite, I take my coffee pretty seriously. 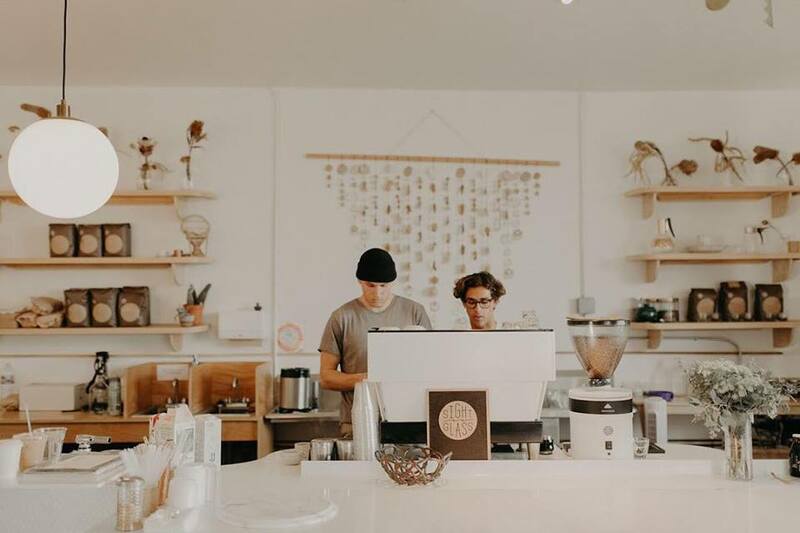 While that might sound a little silly to some, you don’t just come across places like Zoka Coffee Roasters and Storybook Coffee every day you know. I’ll admit it. Growing up in the Rainy City spoiled me a little. With an average of 152 days of rain a year, the city has a cozy coffee shop on nearly every corner. So I was a bit skeptical when it came to scoping out what people told me were the best coffee shops in Orange County. When I moved to Costa Mesa in 2013, I was determined to find at least one place I loved. Back then, there wasn’t nearly as much to choose from but I did find one favorite. For the past six years, I have watched the casual beach scene transform into a trendy mecca. And I’m happy to say I have found quite a few places that are worthy of making my list. 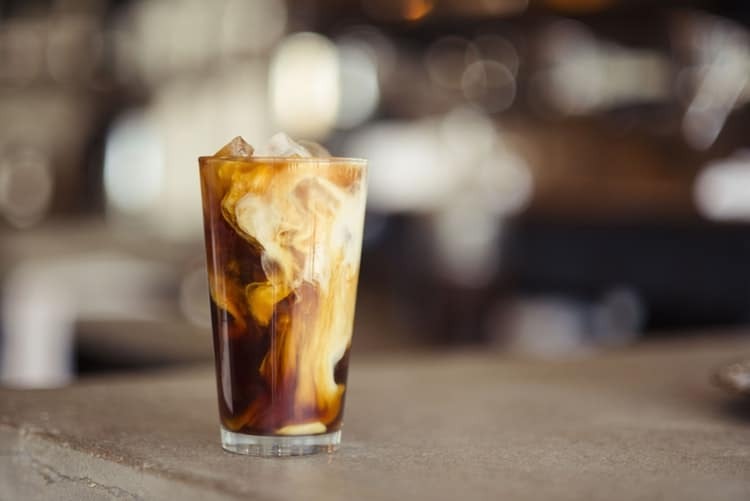 Are you ready to get your caffeine fix? Let’s go. As the first coffee shop my new friends took me to in Orange County, Alta Coffee has a very special place in my heart. Bear with me as I get all sentimental. I was nineteen when I first picked up my bags and moved over 1,100 miles away from home to go to Vanguard University. Luckily enough, I met my very best friends during my first week of school. We all piled in a car and drove to the coast for some vanilla chai lattes and to soak up some sun. This cozy little beach shack has to be my favorite spot on the list. Just step inside and you will see what I mean. While this unassuming little spot on 31st Street doesn’t look like much from the outside, it has so much character. Inside, wooden walls hang art on sale from local painters and photographers, musicians play live on open mic nights every Tuesday evening, and there is a free book exchange where you can pick up some new reads. My favorite spot is the cozy patio outside. Grab a seat during the day for some Newport Beach sun or come at night for evenings holding a warm mug, sharing laughter under twinkling string lights. Anything on the menu is delicious but my personal favorite appetizer has to the nacho plate. During the warmer months of the year, we would order a cup of coffee to go and take it to the beach which is just up the street. Their iced vanilla chais are addictive. And during the colder months, we’d grab a hot chocolate to go and sit in the lifeguard towers at the beach, talking and laughing till 2 in the morning. These are some of the best memories and I wouldn’t trade them for the world. It’s also the spot where I reconnected with a great friend from college and fell in love. Just saying. While the other coffee shops on my list are all special in their own right, this one is my favorite, hands down. Okay, fair warning. This little shop doesn’t have the same sentimental type story behind but Kit still one of the best coffee shops in Orange County in my book. You’ll find this charming, airy space on Westcliff Drive in Newport Beach. For those of you who aren’t locals, it’s about ten minutes from the coast, tucked away into an adorable little shopping center. Ever since it opened, it’s been one of the busiest places to grab a cup of joe on the scene and seating is fairly limited. So, if you’re in the mood for some delicious cappuccinos, try your best and get there early when they open (around 6-7 AM). If you love craft espresso and sweet and savory toasts, this is the place for you. Welcome to one of the best coffee shops in Orange County. 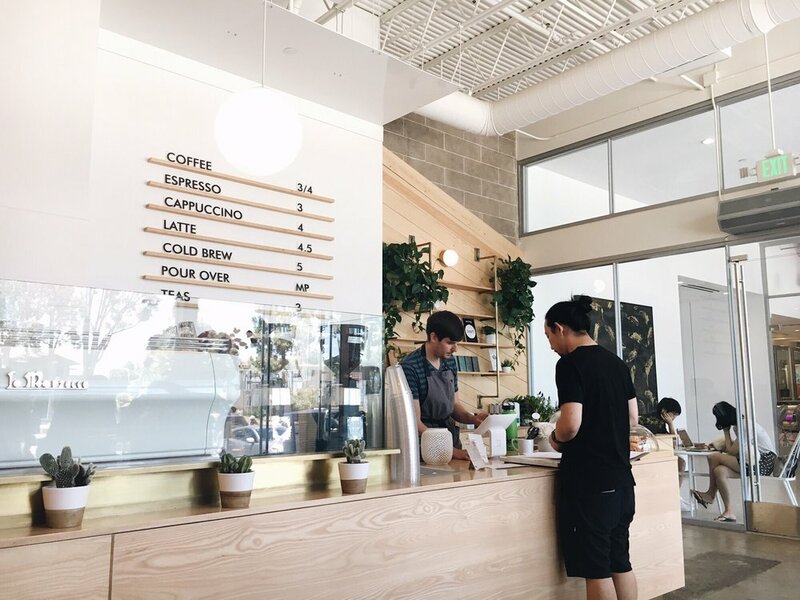 Nestled away inside the Via Lido shopping center, Honor Coffee Roasters has its home in one of the trendiest locations in Newport Beach. While the shops around it are a little ritzy, I love how clean and simple their interior is. This is one of my favorite places to go in the early morning for the weekend. With floor to ceiling windows and nearly all-white interiors, this shop catches all of the first day’s light. It’s a beautiful space to relax, read the paper, and take a few photos - if you’re into that sort of thing. My go to is a hot vanilla latte. Out of all the coffee shops on my list, this is one of the greatest hidden gems. Common Room Roasters is one of those places you would never expect to find in Orange County and that’s what makes it so special. While many of the other locales on my list have open, beachy vibes, this joint is much more sleek and sophisticated. 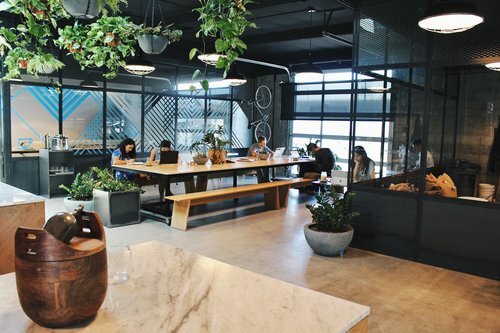 An Australian import, Common Room is born out of Melbourne, bringing with them both single origin and blended coffees from around the world. 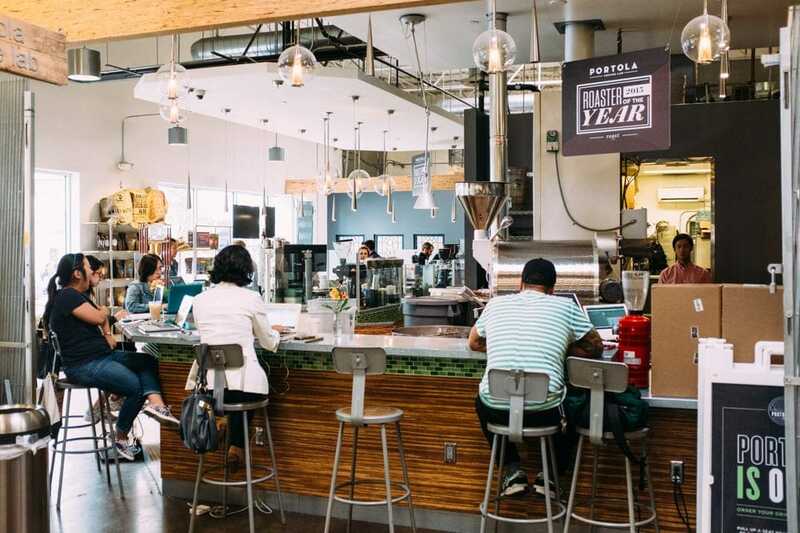 This roastery offers up a seasonal, modern menu alongside some delicious small-batch breakfast and lunch options along with a cupping room and small retail shop. Dark walls, leather-bound menus, and lush, green planters hanging from the ceiling all lend to creating a truly unique ambiance. Common Room Roasters is definitely one of the best coffee shops in Orange County. College students catch on fast. I swear it only took two weeks after this space opened for all the kids from Vanguard University to come flocking in. And I can’t say I blame them. This stylish wood-accented coffeehouse is one of my favorites. You’ve got to appreciate the “Death Before Decaf” art on the wall. 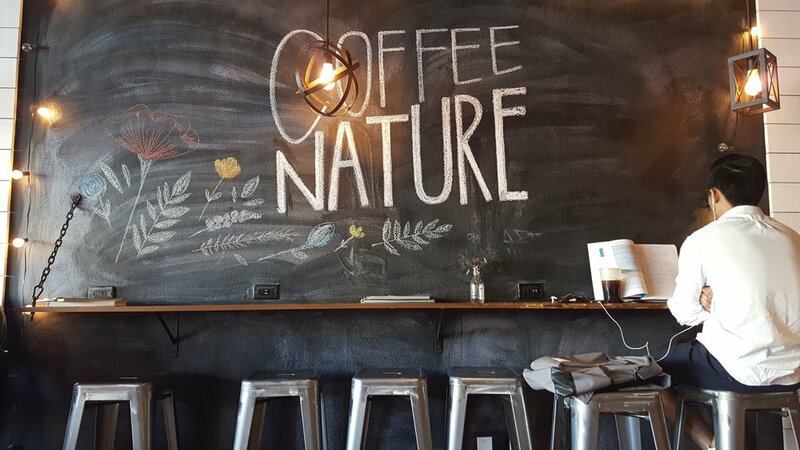 Offering up espresso drinks, tea, baked goods, and the best light bites (avocado toast, I’m talking to you), Coffee Nature is one of the best coffee shops in Orange County - you can’t pass it up. While you can’t go wrong with any of the drinks on the menu, might I recommend the iced lavender latte? While floral drinks don’t sound appealing to everyone, the flavor is subtle and the coffee is deliciously creamy. How could you possibly go wrong with that combo? If you haven’t been the OC Mix in Costa Mesa yet, I would highly recommend it. Think of this stylish, rustic space as a trendy outdoor mall. 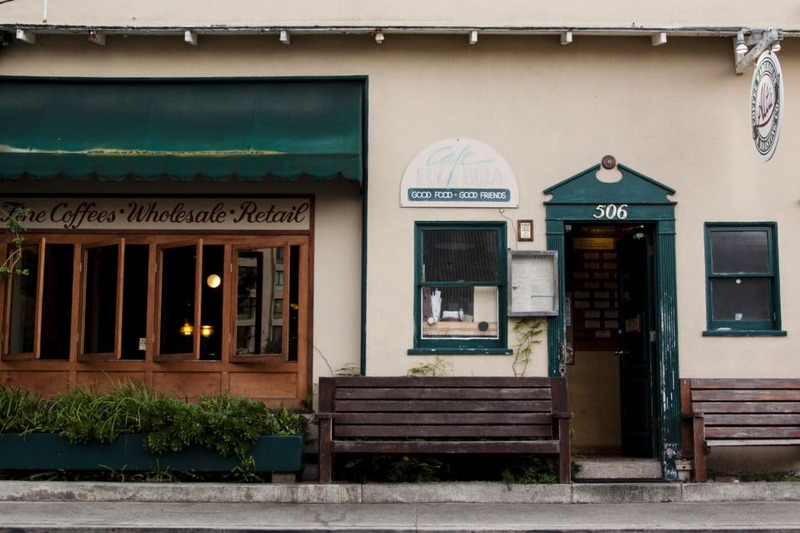 You’ll find a variety of local retailers from quaint hole in the wall eateries to design stores. In the middle of it all lies Portola Coffee Roasters. If you don’t mind another buzzing space, check out this hip cafe. Here, baristas in lab coats brew house-roasted coffees to order using multiple methods. You’ve scored. Hidden House Coffee has two locations in Orange County and I love them both. Honestly, I can’t pick which one I prefer. You’ll find one of them in downtown Santa Ana and the other in the historic section of San Juan Capistrano down south. The fun part is both shops are so vastly different from one another. While the menu items remain the same, the ambiance couldn’t be more distinct. Santa Ana’s Hidden House Coffee offers a sweeping space with plenty of seating in an industrial-chic warehouse space and exposed brick walls. Outside, there’s plenty of patio room. I went there for the first time a few months back and absolutely fell in love with the place. Scattered ceiling light, large windows, and greenery throughout make it such a warm and inviting place to be. In Old San Juan, this location is set in a renovated home from the 19th century. While the seating is limited, if you get there in the early hours or late afternoon, you can find a chair and enjoy the ambiance. There is also some patio seating on the wide front wooden porch that wraps around the tiny house. If you have never been before, add both of these locations to your must-see list. They are among the best coffee shops in Orange County. One of the things I’ve found about living in Orange County is that more often than not, you’ll find some of the coolest coffee shops where you would least expect them. This couldn’t be truer than with Patch Coffee. Pull into a small shopping center in Lake Forest and look around. There’s an LA Fitness and a few other normal shops. What could possibly be here? If you know the cliche idiom ‘don’t judge a book by its cover,’ I have a new spin to put on it. Don’t judge a coffee shop by its location. Pull open the doors and you’ll be blown away by this beautiful space. A combination of warehouse steel and exposed brick walls complement the natural light. Pendant lightbulbs hang from the ceiling, old books and records line the walls, and there is a hallowed out shipping freight container inside the stoor where you can sit, sip, and play a game of chess. What could be cooler than this? 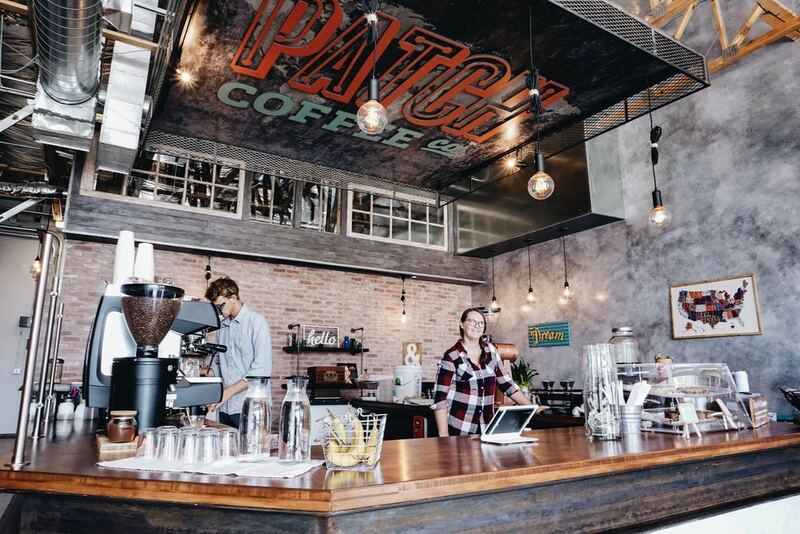 Patch is one of the best coffee shops in Orange County. 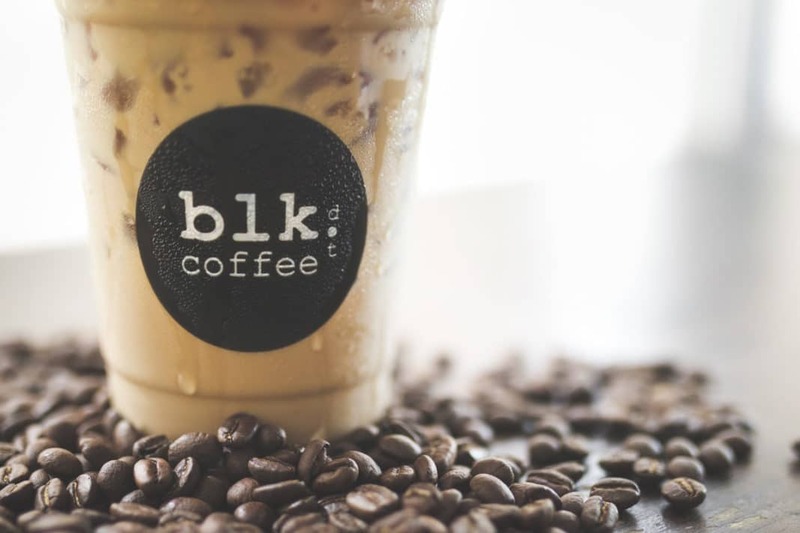 While Blk Dot Coffee doesn’t have the coziest ambiance, what it lacks in space it makes up for in delicious Vietnamese iced coffee and friendly service. There’s one in Laguna Beach and two others in Irvine. Since Laguna Beach one is almost always crowded, I usually head to Irvine. This is the perfect place for a morning pick me up if you’re heading out for the day and don’t have time to sit and chill. You’ll find it located right in the Google Center. It’s a bit tucked away but there is plenty of parking. Looking for a modern twist on the typical morning cup of coffee and tea? 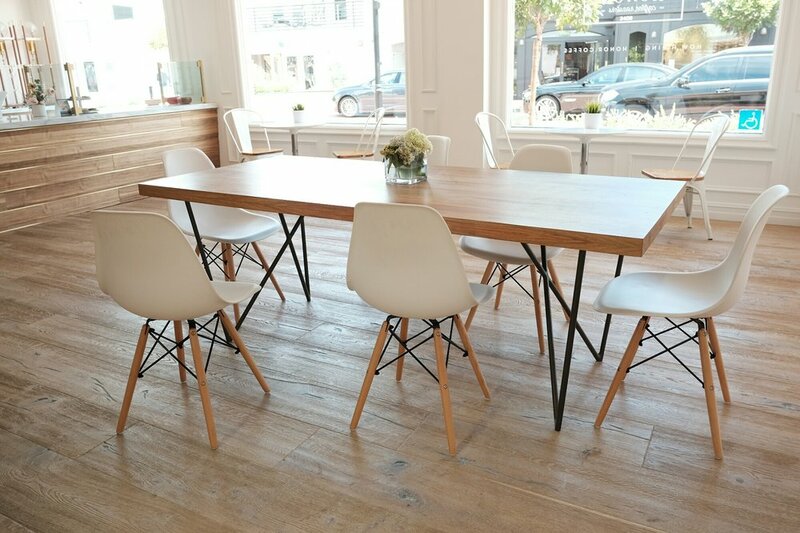 Check out this trendy spot in Tustin; it’s one of the best coffee shops in Orange County. Morning Lavender Boutique and Cafe the perfect place for a girl’s afternoon out or if you’re helping to plan a friend’s bridal shower or bachelorette party. The interior is something straight out of a storybook. While I’m generally not one for all things frilly, pink, and purple, Morning Lavender puts a fun twist on the typical and I have to say I enjoy it. Plus, you can shop while you sip. Charming design elements meet a clean menu and patio space. 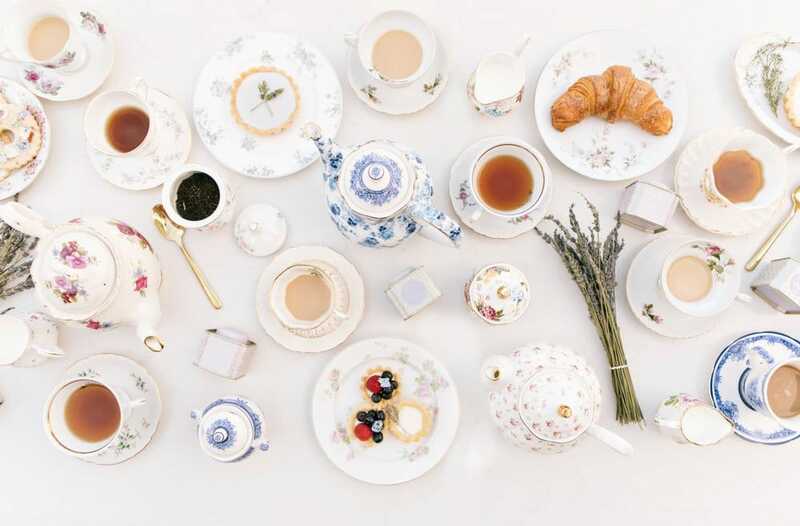 The white and pink tones are complemented by the vintage floral china and tea sets. Plus, there are plenty of fun spots for photo ops. Best of all, you can book a dainty afternoon tea activity with delicious finger sandwiches, desserts, and freshly baked scones served to your table. If you’re looking for an affordable place that feels high end, come here. It’s all in the name. This bright, modern shop is the most cheerful space; it looks like a crafty scene plucked straight from Malibu. Come grab a craft espresso as you peruse locally made goods, beautifully handcrafted surfboards, fun books, crafts, and vintage finds. Tucked into an industrial section on the border of Newport and Costa Mesa, this is another one of those hidden gems I mentioned. While the seating is limited, it’s a fun place to browse, take a few photos, and the staff is always so friendly. Plus, the store owner’s black pug named Penelope roams the store. Need I say more? This is another one of those winners with delicious drinks, food, and an amazing ambiance. Like Alta Coffee, it’s a place that has a great deal of sentimental value for me. I’ve been coming here for the past six years for their delicious iced lavender lattes, Spanish lattes, and strawberry banana smoothies. 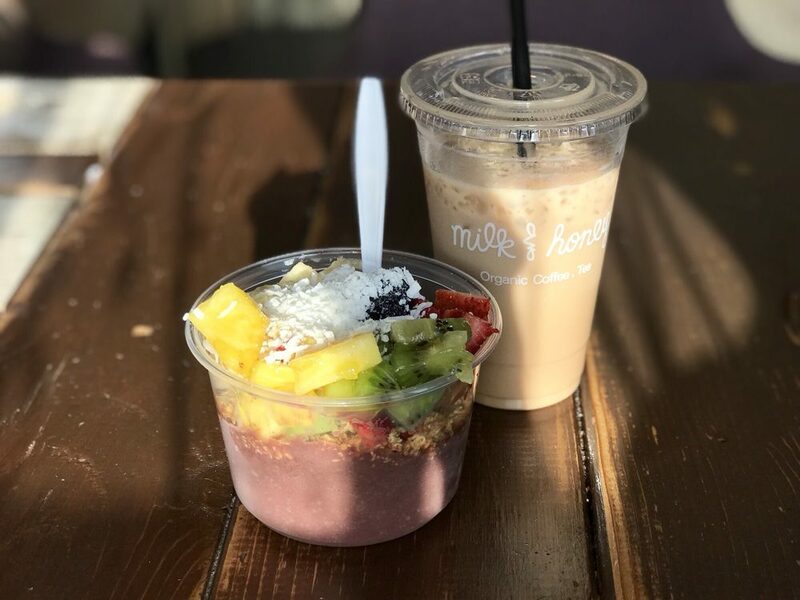 To put a cherry on top, they also offer delicious bagels and acai bowls. A bright and airy space, the inside offers rustic wooden benches to sit, bar stools, and fun outdoor patio space with a trellis and overhead lights. Milk & Honey is the perfect combination of quirky and cozy. Here’s to hoping they never change. I hope you enjoyed reading my list of the best coffee shops in Orange County. Since there are so many good places to get a cup of joe in southern California these days, it was hard to narrow down my list. Have you been to Orange County before? Write a note and let me know your favorite coffee shops in the comment section below.